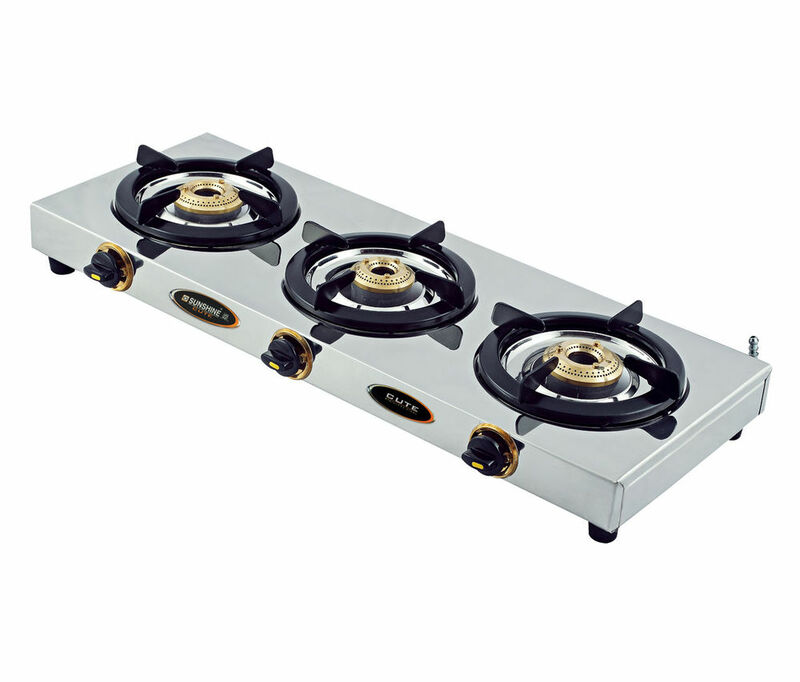 Sunshine Cute Three Burner Stainless Steel Gas Stove comes with dual advantages. They are compact and smart looking at the same time. 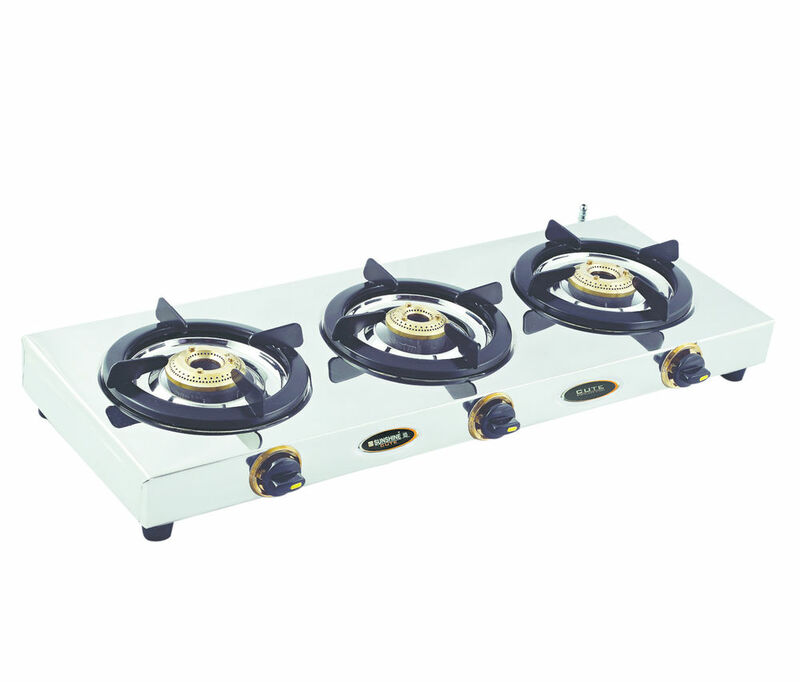 The pan supports are evenly distance, which allows easy movement of the utensil from one burner to another. The perfect rectangular shape enhances the aesthetics of the stove.